Henry Leung qualified from King's college hospital in 1983, he was the recipient of the T.W.Widdowson prize for Dental Science. Henry joined St. John's Dental Practice in 1986 and has been providing all aspects of general dentistry to his patients. His area of special interest is the provision of Intra Venous sedation to nervous patients and all aspects of cosmetic dentistry. Outside of practice, his hobby is scuba diving, he is an advanced scuba diver and enjoys travelling and diving in remote parts of the world. Alan graduated from Leeds University in 1981 with a BSc. (Hons) in Pharmacology and Physiology. In 1983 he returned to university and qualified in Dentistry in 1988 from the Royal London Hospital Dental Institute. From late 1988 until September 1992 he worked in Maxillo-facial surgery at Whipps Cross and St. Margaret's Hospitals. There he gained experience in difficult extractions (including wisdom teeth), apicectomies and other minor oral surgery, facial and dental trauma including fractures, and cancers of the mouth. 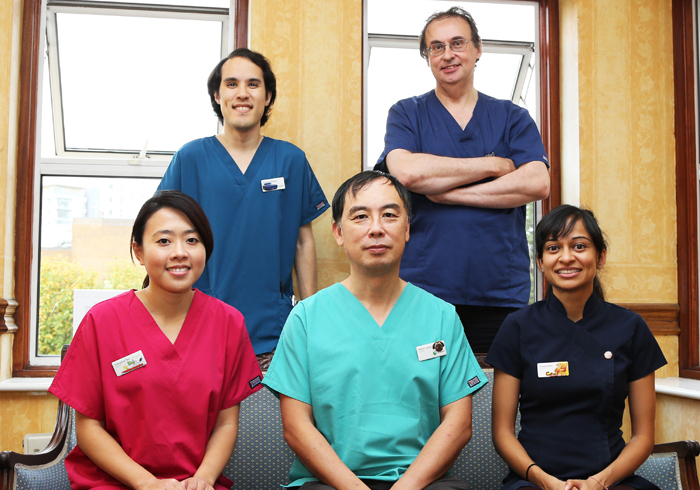 Since September 1992 he has worked as a general dental practitioner at St. John's. He undertakes work in most areas of dentistry but in particular enjoys minor oral surgery, making dentures and endodontics. He has an interest in snoring control. He works in the practice's only ground floor surgery so has gained a moderate range of experience in special care dentistry. Dr Andrew Petterson qualified from Glasgow Dental School in 2003. He first worked in Rye on the beautiful south coast before joining the practice in 2005. He left briefly to spend the best part of 2010 travelling in Australia and New Zealand. This included a brief stint working for Queensland Health treating rural communities in "Far North Queensland" & Cape York. In his spare time he likes nothing better than to get his hands dirty tinkering with and repairing his old cars. Catherine Tan graduated from King’s College London in 2009 and worked in Rochester, Kent before joining St. John’s Dental Practice in 2010. 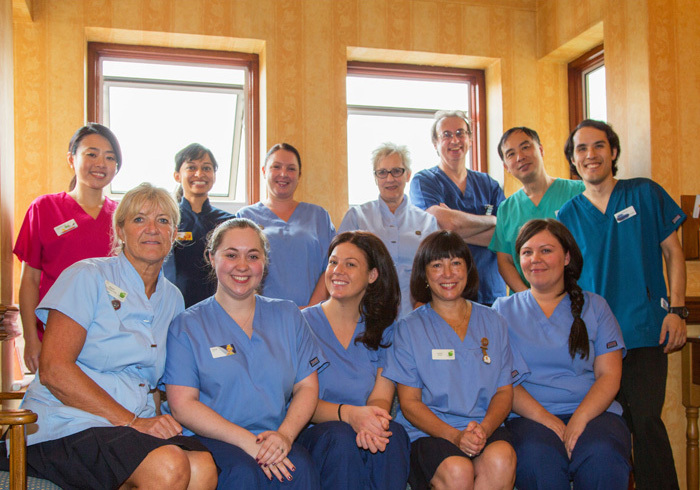 Having grown up close by and being a former patient at St. John’s Dental Practice, Catherine has gone round a full circle coming back to us as a dentist. She has taken over Mr Wong’s patients who retired last March. She enjoys all areas of general dentistry, especially working with anxious patients. Catherine enjoys painting, photography and travelling. She will be travelling around the world for the first 6 months of 2014. Divya Datta is the newest member of our Dental team, having replaced Mr Aqualina, who retired last May. She graduated from Birmingham University in 2000 and ever since has worked in London. Along with all the other dentists, she shares a philosophy of and commitment to exceptional patient care. She enjoys all aspects of general dentistry and is committed to continual professional development through postgraduate education and training. She places a massive emphasis on educating her patients towards great dental health. She has undertaken a one year post graduate course in Cosmetic and Restorative Dentistry with Mr Chris Orr. She also provides the 'invisible' Clear Aligner brace and the Inman Aligner, 'short time acting' brace. Divya will soon be certified to provide Intravenous Sedation for nervous patients. She has been involved in the set up a dental unit in a village in South India with a massive focus on prevention. Outside of Dentistry, she is a keen traveller and loves to learn about and experience new cultures.